An improvement on recent releases, this elegant, smooth and restrained red may lack in sophistication but delivers ripe, almost jammy fruit and well-handled chocolate and vanilla oak. 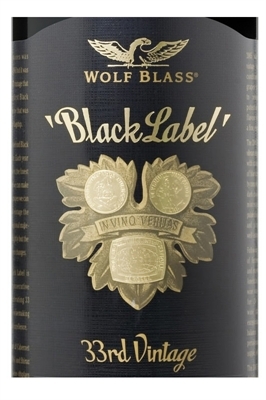 BLACK LABEL IS THE FLAGSHIP RED BLEND OF THE WOLF BLASS RANGE. SINCE ITS FIRST VINTAGE IN 1973, BLACK LABEL HAS WON THE JIMMY WATSON TROPHY AN UNPRECEDENTED FOUR TIMES. An improvement on recent releases, this elegant, smooth and restrained red may lack in sophistication but delivers ripe, almost jammy fruit and well-handled chocolate and vanilla oak. Plump and forward, its concentrated palate of red berries and plums lacks a little length, reveals some spicy fennel complexity and finishes slightly sappy.